College Park might be one of Atlanta’s smaller suburbs, but it has the fourth-largest urban historical district registered with the National Register of Historic Places in the entire state. In fact, it has over 850 places listed on the Register! To say College Park packs a lot within its border in an understatement. It’s home to the Georgia International Convention Center, several parks, an exciting nightlife and a portion of the Hartsfield–Jackson Atlanta International Airport. It’s also where Atlanta’s “SWATS” (“Southwest Atlanta, too strong”) hip-hop scene stemmed from in the 2000s. Nearly three-fourths (73 percent) of College Park’s residents rent their homes. One reason is because the rent is so cheap in the city. The median rent is just $812, compared to the national average of $949. But housing is also affordable here, with a median home value of $154,700. By comparison, the national median home value is $184,700. The most popular home styles in College Park are the ranch, Victorian, and craftsman. College Park is an affordable suburb of Atlanta, so if you’re working with a budget and you want to maximize the value of your dollar, then this is a city you should be considering. 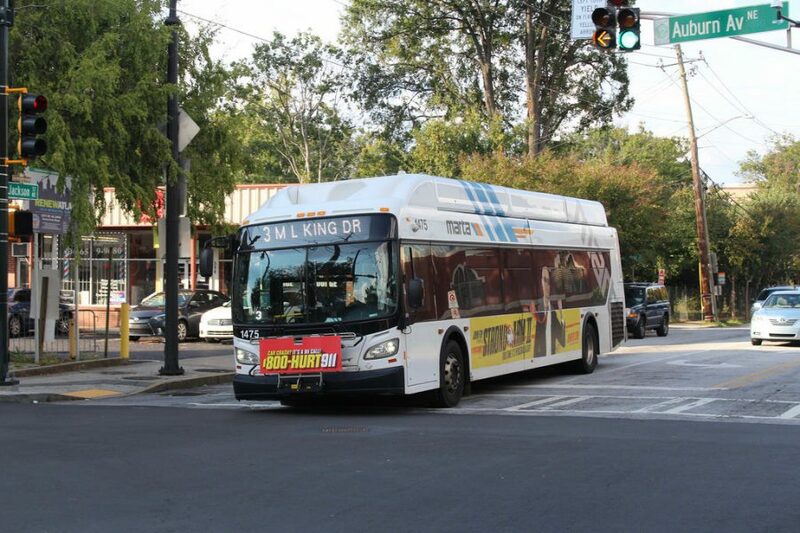 It has everything you might need, and whatever it doesn’t have, you can find it by taking a very short drive or bus ride into downtown Atlanta. College Park sits adjacent to Atlanta’s southern boundary, so getting in and out of downtown Atlanta is easy because it’s just eight miles from College Park’s City Hall. The city has the third-busiest MARTA rail station and is served by the Gold and Red Lines. There are also nine bus lines that serve College Park, including Routes 82, 84, 89, 172, 180, 181, 189, 195, and 196. Commuting by car is also easy in College Park as Interstate 85 runs through the city and merges with I-285. College Park is historically an African-American community, but in recent years, the population has grown more diverse. Today, many Whites, Hispanics, and people of two or more races live in the city. The women outnumber the men here by six percent. While 31 percent have earned their high school diploma or equivalent, 24 percent have earned at least a bachelor’s degree. Age-wise, College Park’s residents are evenly spread out. The two largest groups are children under ten years old, and adults aged 25-to-34 years, with each accounting for 16 percent of the population. College Park’s median household income is $29,087, which is considerably lower than the national average of $55,322. The median individual income is also lower than the national average, $20,655 compared to $27,419. Unemployment in College Park is 8.1 percent, which is more than double than the national average (3.8 percent). Living in College Park gives you easy access to the incredible food scene in Atlanta, but in College Park, you’ll find plenty to keep your palate satisfied. For some good old Creole and Cajun food, The Corner Grille is where you’ll want to go. Located near the airport is Manchester Arms, which as you might expect serves up excellent renditions of British classics along with American standards. Bole Ethiopian Restaurant has African, Ethiopian, and vegetarian dishes, while Burger Theory in the Airport Holiday Inn is the place to go for the best burgers in town. For quick and affordable eats, College Park doesn’t disappoint. Barbecue Kitchen of College Park is famous for its delicious barbeque and Lunch on Main Street never disappoints. Happy Buddha has cheap Chinese-American favorites and Taqueria Don Sige serves authentic Mexican food at prices you’ll love – almost as much as the food. There’s also an energetic nightlife scene in College Park for those who like to go out after dark. Brake Pad is one of the most popular bars in College Park, and it always draws a crowd with its menu of pub food and brews. If you want to catch the game, head over to Madhouse Sports Bar & Grill, or if you like your watering holes with a good dose of music, then Wraith ATL is the place for you. College Park is home to a 606-acre historic district where you can see hundreds of homes built in the 19th and 20th centuries in the Queen Anne, Century Revival, and American Craftsman styles. Other noteworthy historical structures include The College Park Woman’s Clubhouse at Camellia Hall, the College Park First United Methodist Church, the College Park Depot and more. College Park has four parks: Barrett Park, Brenningham Park, Jamestown Park, and Richard D. Zupp Park, and each offers an endless variety of recreational opportunities. There’s also the College Park Municipal Golf Course, which was opened in 1929. Of course, being just minutes away from Atlanta makes it easy for you to enjoy all the arts and culture offered there, like The World of Coca-Cola, the High Museum of Art, the Jimmy Carter Library & Museum, and so much more. College Park is home to the Camp Truitt Senior Center, which provides local seniors with programs and activities to help them stay active and stronger – both mentally and physically. Some of the services available include Meals on Wheels (MOW), personal care, fitness classes, tax preparation, computer courses, travel assistance and more. College Park also has very good medical services for seniors. Within a short drive is Anchor Hospital, WellStar Atlanta Medical Center (formerly Atlanta Medical Center Primary Care Physicians Camp Creek), WellStar Atlanta Medical Center South, and Select Specialty Hospital South Atlanta. Sign up today for up-to-date, FREE home trends information below!